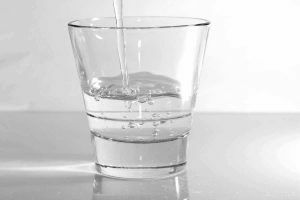 In the winter, the cold air means that we tend to lose more moisture, so it’s important to keep drinking water to keep your skin plumped up. And drinking plenty of water before bed is also the best way to help your body repair itself overnight. Especially after a Christmas party that’s left you worse for the wear! Whatever your hair type, harsh weather can really take a toll, leaving it drier and lacking volume. Set aside time every week to deep condition your hair with a hair mask to replenish and restore shine, and consider swapping your usual shampoo with a highly moisturising one. Adding some highlighter to your makeup look is a great way to brighten up tired, dull winter skin, ensuring that you sparkle at any festive dos. Simply dab a bit in any areas you want to draw attention to – cupids bow, cheekbones, brow bone. You could even use it over your eyeshadow to add some extra shimmer. Too many Christmas parties, not enough time? For quick and easy glam, skip the eye makeup and just apply a bold red lip colour, to look instantly put together. This somehow magically makes you look like you’ve applied makeup to your whole face when you actually haven’t. Many of us enjoy a few extra glasses at Christmas, but it’s best to keep things simple – your skin (and head!) will thank you tomorrow. Avoid cocktails which can be full of hidden sugars. Instead, opt for a spirit with a clean mixer like sparkling or tonic water. 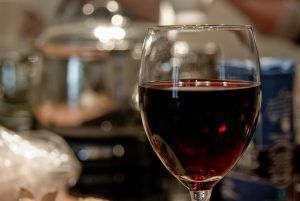 Alternatively, red wine is a good bet as it contains fewer calories than most drinks, and has the added benefit of antioxidants which are great for overall health. The festive season can be an intense time, with reunions with family members you’ve not seen in ages throwing up all sorts of tensions. Make sure to recharge by giving yourself some time and space. Take a walk in the local park, check out an art exhibition, or just have a coffee in your favourite cafe. There can be a lot of pressure attached to Christmas: being the perfect hostess, finding gifts to please the fussiest family member, and so on. All of this can cause a distinct lack of Christmas spirit. So aim for ‘good enough’ rather than perfect – you’ll have a much better time!